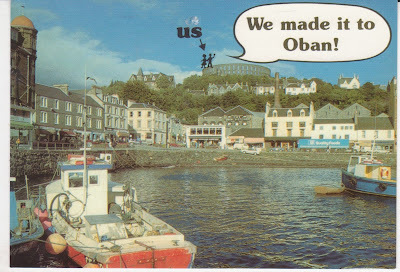 Backstreet Postcards: We made it to Oban! We made it to Oban and are so proud to have got so far north. It is not as far north as John o Groats but here in Oban 9.4% of the population speak Gaelic. Can John o Groats boast as many?